The FMCSA has just today released the formal guidance for those property brokers (ICC), a/k/s freight brokers for coming in to registration and BMC-84 freight broker bond compliance with “MAP-21”. The following was released by Anne Ferro, FMCSA Administrator. Companies providing broker or freight forwarder services, including motor carriers, are required to obtain the appropriate operating authorities and, as of October 1, 2013, are required to meet the new minimum financial responsibility requirements, also known at the BMC-84 freight broker bond. FMCSA will be providing a 60-day phase-in period beginning October 1, 2013, to allow the industry to complete all necessary filings. Beginning November 1, 2013, FMCSA will mail notifications to all brokers and freight forwarders that have not met the $75,000 BMC-84 Broker Bond requirement. FMCSA will provide 30 days advance notice before evoking the freight forwarder and broker operating authority registrations. FMCSA acknowledges there are motor carriers that occasionally broker loads that have not previously been required to obtain operating authority registration from FMCSA as brokers. 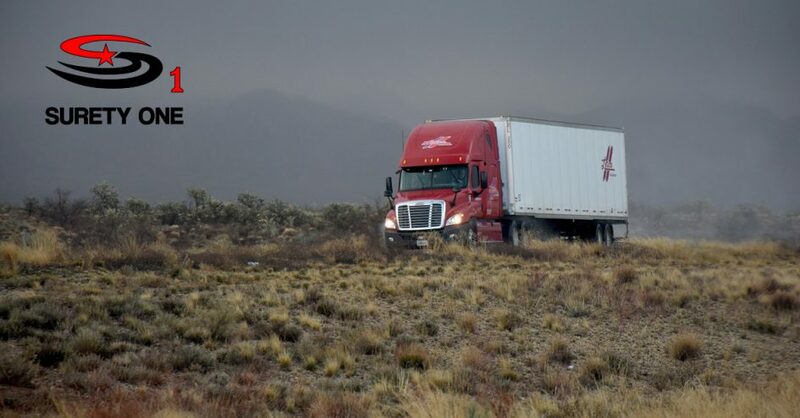 However, FMCSA is unable to determine at this time how many motor carriers may be engaged in some brokering activities, making implementation of a comprehensive enforcement program difficult. Therefore, FMCSA will phase in its enforcement of the broker registration requirements for motor carriers that also broker loads. During the first phase-in period, FMCSA will accept complaints regarding unregistered brokerage activities of motor carriers through our National Consumer Complaint Database (see http://nccdb.fmcsa.dot.gov/). FMCSA will work with industry groups to use this complaint information and other data to ascertain the extent of the unlicensed broker population subset within the motor carrier industry. The agency will then work toward developing a comprehensive enforcement program. FMCSA strongly encourages all motor carriers not to accept loads from unregistered brokers or freight forwarders, as these entities might not have the BMC-84 freight broker bond mandated by MAP–21. FMCSA also notes that motor carriers brokering loads without properly registering with FMCSA as brokers may be subject to private civil actions pursuant to 49 U.S.C. 14707. Question 1: What is the minimum level of financial security that a broker or freight forwarder must maintain on file with FMCSA? Answer: Beginning October 1, 2013, all FMCSA regulated brokers and freight forwarders must obtain and file with FMCSA a freight broker surety bond in the amount of $75,000. Question 2: If my surety bonding company filed Form BMC–84, do I need to file a new one reflecting the new $75,000 minimum financial security requirement? Answer: Yes. All brokers and freight forwarders subject to FMCSA jurisdiction must file a new BMC–84 form reflecting the new minimum financial security amount of $75,000 as of October 1, 2013. FMCSA will develop new BMC-84 forms for use by surety bonding companies and trust fund institutions in advance of the October 1, 2013, deadline. Question 3: My company has both broker and freight forwarder authority. Is one $75,000 BMC-84 freight broker bond sufficient or do I need 2 separate bonds/ trust funds? Answer: One $75,000 bond is sufficient as long as the legal entity holding the authorities is the same. If your broker and freight forwarder operations are conducted under separate but affiliated companies, each entity must have a separate bond. Question 4: MAP–21 says that I have to use a surety bond company that is approved by the U.S. Treasury Department. How do I know whether my surety bond company is approved by the Treasury Department? Answer: The Treasury Department’s Financial Management Service maintains a list of certified surety bond companies at http://fms.treas.gov/c570/ index.html. This and other information about certified surety bond companies can be obtained from the U.S. Department of the Treasury, Financial Management Service, Surety Bond Branch, 3700 East West Highway, Room 6F01, Hyattsville, MD 20782, Telephone (202) 874–6850 or Fax (202) 874–9978. National surety leader, Surety One, Inc. welcomes applications from both foreign and domestic companies operating in the United States. Terms are available for all credit and financial statement conditions. Visit us at SuretyOne.com, call (787) 333-0222 or (800) 373-2804, or email Underwriting@SuretyOne.com for further information about the FMCSA freight broker bond application process or about any bonding need.